if you seek: i) a comp ticket to Taimane’s Joe’s Pub show, ii) would like to attend her private show on January 4 or iii) would like to reserve a seat at her APAP Showcase, please contact Taimane’s management at least 72 hours in advance of show (contact info below). stop by Exhibitor Booth # 322 for Taimane literature or contact Taimane’s management to schedule a meeting at APAP. 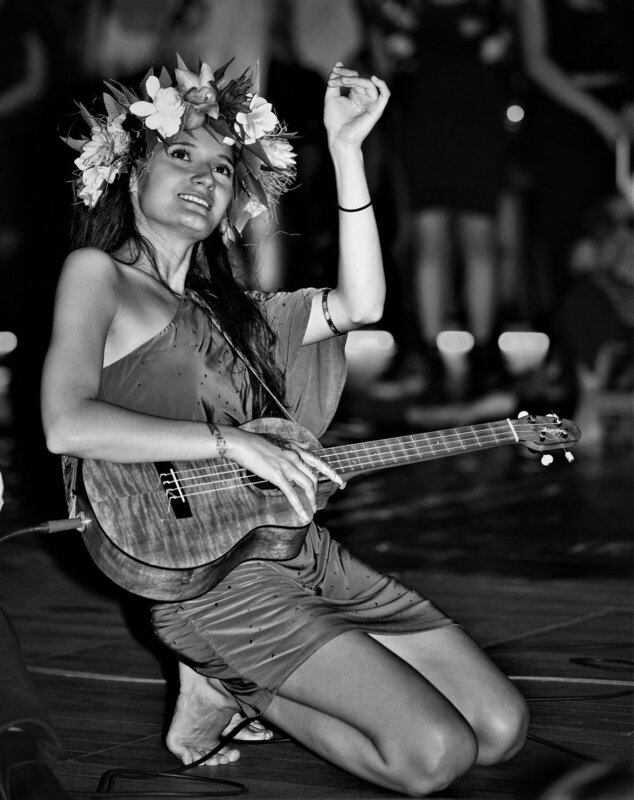 From Bach to rock, flamenco infernos to tribal hymns, Taimane has developed a sound and style all her own with her instrument of choice, the ukulele. Performing in the spotlight since age 13, Taimane’s on-stage persona captivates upon first sight and fiery performances ensue helping her garner over 9 million video views and over 90,000 social media followers and sell-out concerts across America. ‘Elemental - A Musical & Theatrical Odyssey’ brings to life Taimane’s vision of the elements (earth, water, air, fire, ether) and related spheres through music, dance, narration and costume. 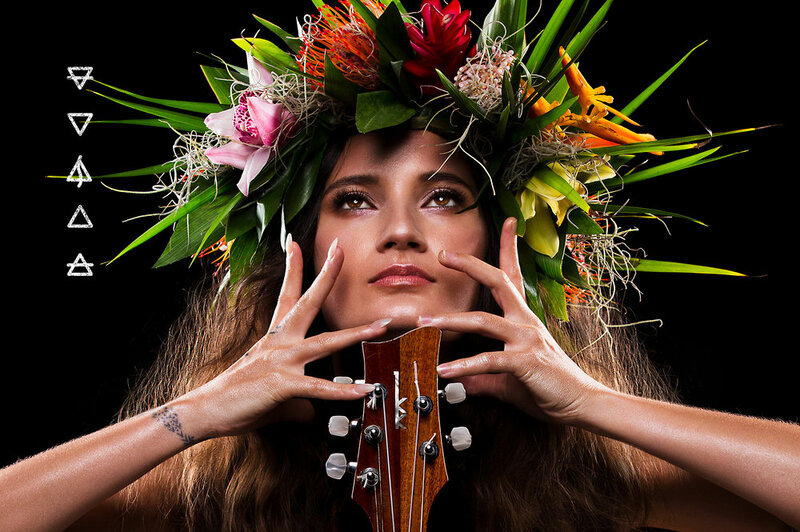 The show features two acts, the first being a concert-style performance featuring Taimane, her five-piece ‘Elemental’ band (ukulele/vocals, guitar, cajon, violin and cello) and an aerialist. In the second act, Taimane presents ‘Elemental’ via seven songs plus a closing number (songs: Atlantis, Water, Fire, Air, Earth, Pluto, Ether, Oh Nah). Each of the seven ‘Elemental’ songs is introduced by a narrated poem (each poem written by Taimane), and all but one feature costumed dance performances. Taimane is the artistic producer (created the program and manages casting, costuming, set design / lighting, etc. ), songwriter (wrote 7 new songs for the performance), bandleader and star musician. 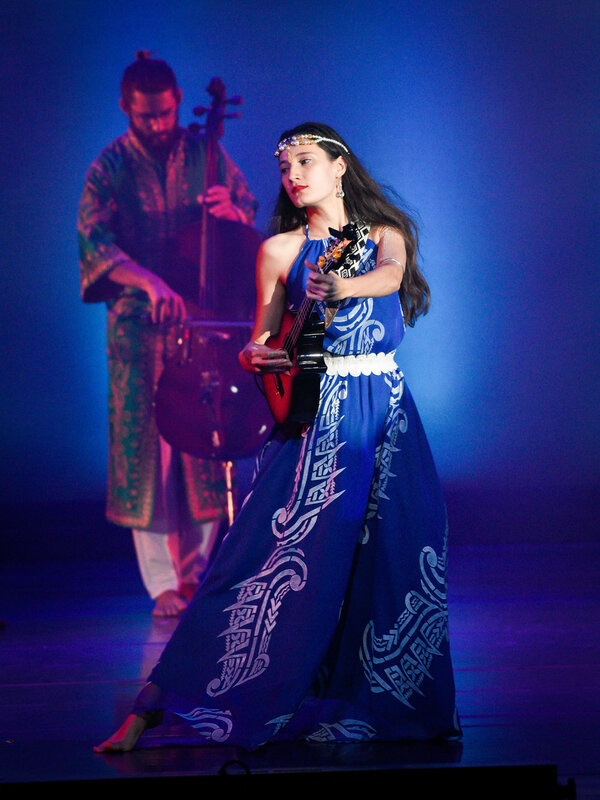 ‘Elemental - A Musical & Theatrical Odyssey’ made its debut at the exquisite Hawaii Theatre on March 25, 2016 drawing over 1,000 attendees and garnering rave reviews from the public and critics. See photos above and below. Taimane is presenting ‘Elemental - A Musical & Theatrical Odyssey’ at Kahilu Theatre on the island of Hawaii on April 13, 2019. Run Time: Act I - 45 minutes. Act II - 55 minutes. On June 5, 2018, Taimane released her latest album, ‘Elemental,’ featuring the seven songs she wrote for her ‘Elemental - A Musical & Theatrical Odyssey’ performance.